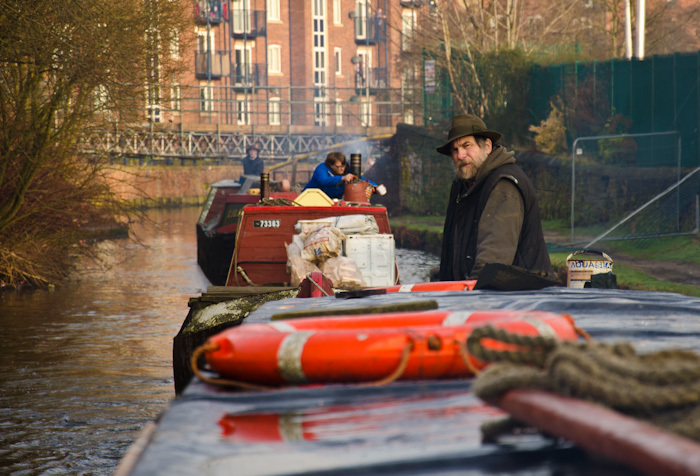 The Marsh Christian Trust is to present Chris Leah of the Wooden Canal Boat Society with an award, and my photographs have been selected to be featured in the associated publicity materials. The Wooden Canal Boat Society, a Tameside-based charitable organisation, has its boatyard alongside the Huddersfield Narrow Canal in Stalybridge. It repairs old, specifically wooden, narrow boats and re-commissions them to provide therapeutic holidays and trips for people with mental health issues. The Trust is giving the award to recognise Chris’s tireless and invaluable work. The photograph shown here is one of many I have taken of Chris and the society’s boats. Here, Chris and other members of the Society are taking a convoy of canal boats on a trip to gather jumble to recycle and sell in its Ashton-under-Lyne shop, to fund their ongoing work.